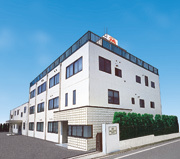 Ever since its establishment, NIPPON ANIMATION has had its own studio facilities in Tama City in the suburbs of Tokyo. Today, the studio is home to a team of over 100 artists and producers working in a high-energy creative environment and generating the hottest new programs. The studio has also served as the headquarters for international co-productions, which started in 1975, the very year in which the company was established. 21 Wada, Tama-shi, Tokyo 206-0001, Japan.